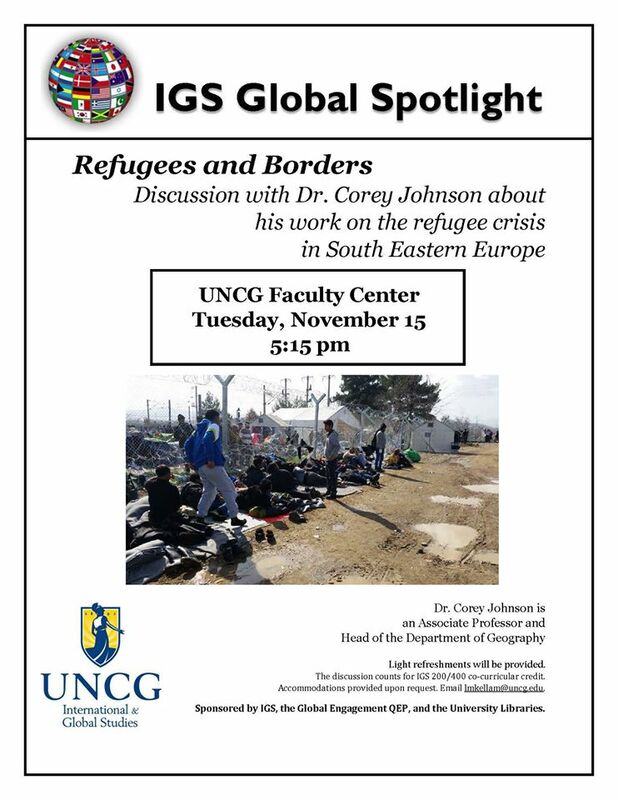 Join us on Tuesday, November 15 at 5:15pm for discussion with Dr. Corey Johnson about his work on the refugee crisis in South Eastern Europe. 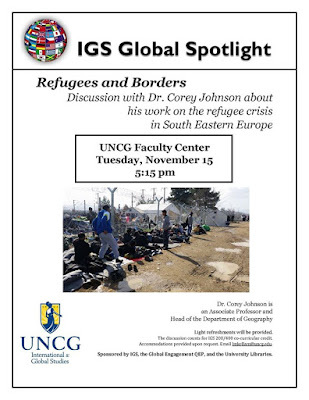 Dr. Corey Johnson is an Associate Professor and Head of the Department of Geography. Light refreshments will be provided. The discussion counts for IGS 200/400 co-curricular credit. Accommodations provided upon request. 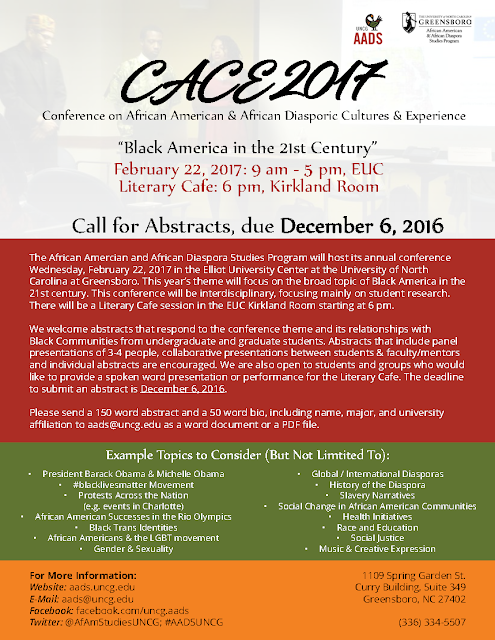 Email lmkellam@uncg.edu. 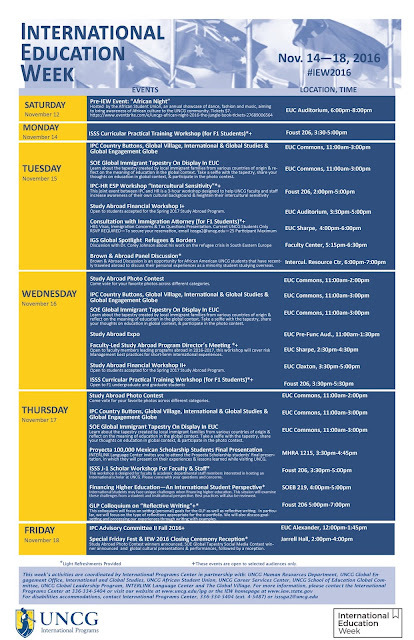 Sponsored by IGS, the Global Engagement QEP, and the University Libraries.